Lottie is officially full time at school! When they’re little babies you never picture the day they’ll in in school uniform and off growing in independence day by day but it comes around all to quickly. I now have three school girls – it’s so scary! 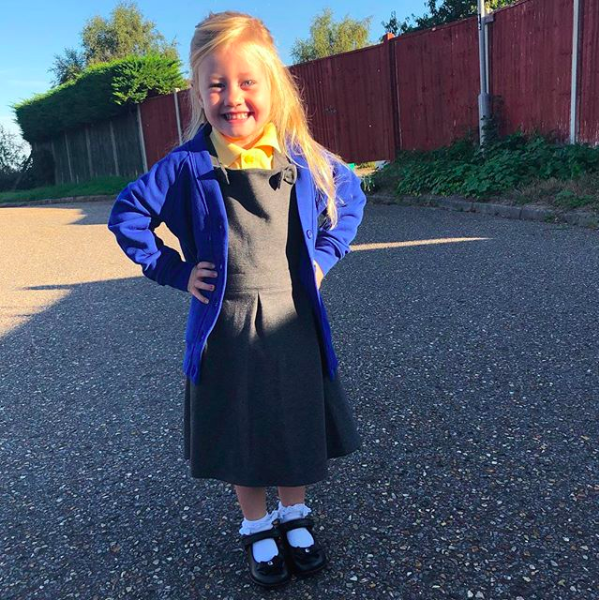 Lottie’s transition from Nursery to school wasn’t quite as easy for me as my older daughters; unlike them Lottie wasn’t all that keen to start school. She is the baby of the family and of corse she knows exactly how to pull on her mumma’s heart strings. Buying the uniform and meeting her teachers last term was great she was bursting with excitement, but after a busy summer of juggling work, holiday clubs and keeping the girls entertained she wasn’t quite so excited at the idea. We are a week in now, we’ve done the settling in sessions and she is getting there. She feels more comfortable, is getting used to the day to day routine and making friends. 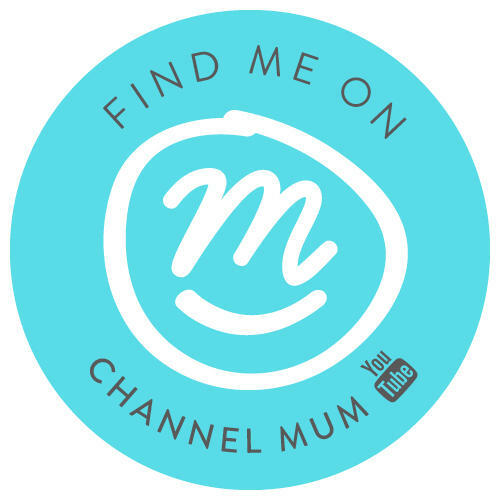 Earlier this week the mum guilt was rife, I think it stems down to me knowing that working means I’m away that little bit longer from them. 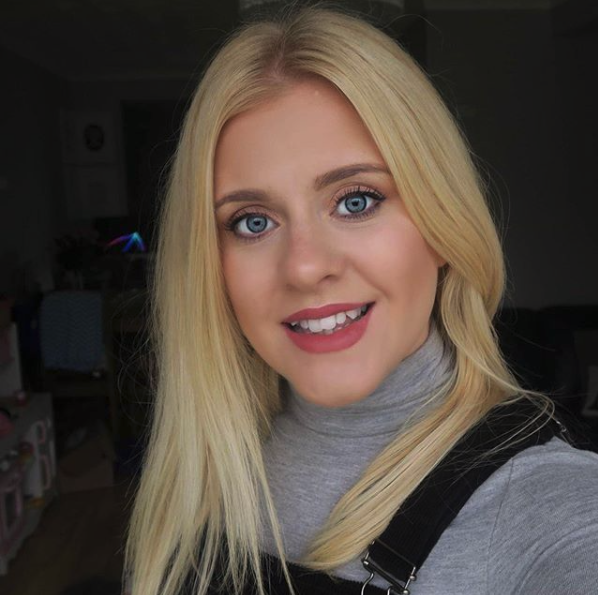 I am concentrating on the positives now and thinking about how Lottie is progressing and how although their school days are long they see their mumma working hard to support them. It got me thinking about how I want to celebrate the start of a new school term even more and let the girls see how much I not only appreciate how well the adapt but just how exciting it is for them too. I have been looking for some little gift ideas that would be just right and stumbled across a personalised gift website call ‘Made With Love And Sparkle‘. Here are my favourite pics for a starting school present. 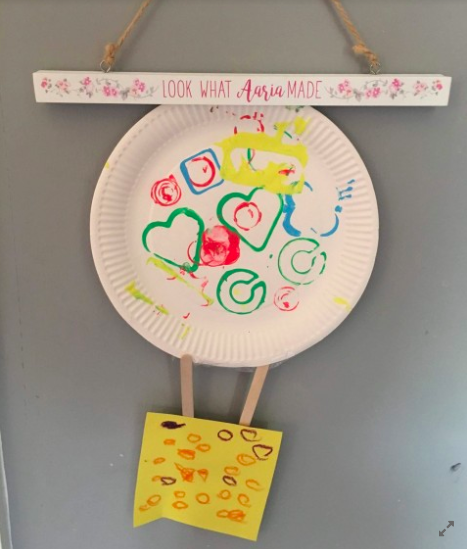 I love this hanger for the girls art work it’s so sweet and you can be sure before long Lottie will be bringing home picture after picture to be proudly displayed. Starting new music lessons? 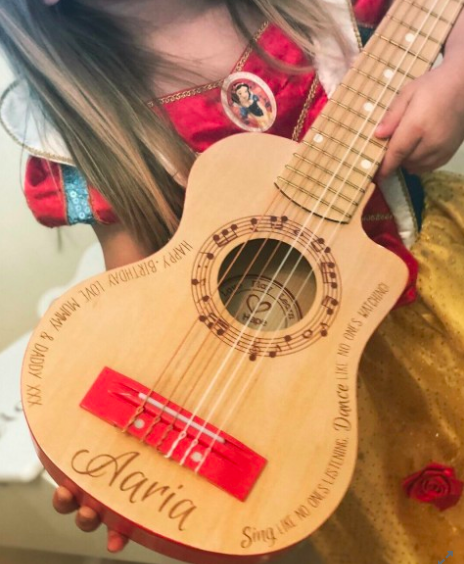 How perfect is this engraved guitar for encouraging a new hobby! Super pretty for a little ones bedroom. 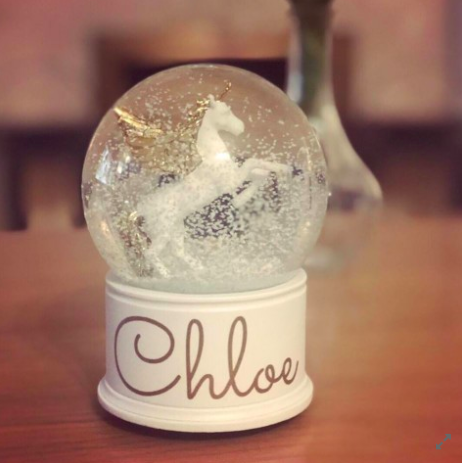 My girls are all unicorn mad and love anything that is a little bit sparkly for their bedrooms so this unicorn snow globe would be the perfect gift for them. One for us mumma’s but I didn’t want to leave it out, to show off our first day at school photos. 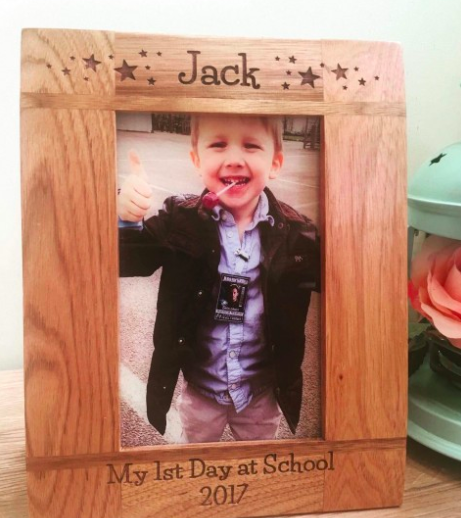 I think this personalised first day frame is such a nice idea and you’ll be able to see how much our little ones have changed throughout the year. A little treat after starting a big new adventure will make their day!